Fa la la la laaa, la, la, la, La! 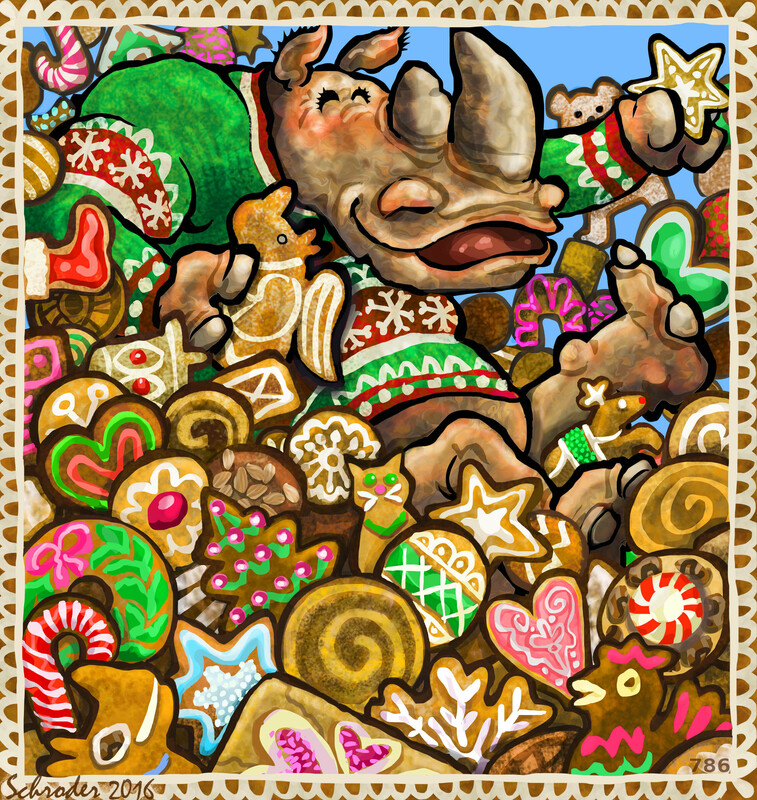 Your Inner Rhino sends you our very Warmest Wishes for a Fulfilling Holiday Season. Love, joy, and peace to your Rhino heart, dear friend–and your human one, too. Thank you, and many happy returns to you as well. ‘Ho ho ho’ is what We say; it’s upbeat and cheerily unspecific, which about covers it for Us. With bells on. Rhino cookies – what could possibly be better? Your thinking is understandable but also rectifiable; you can think of R Angels all the time now. Here at YIR, We do.